Governments all over the world impose and implement taxes to strengthen their economic development and enable it to be a real competitor among the world’s advanced economies. Value Added Tax (VAT) also known as Goods and Services Tax (GST), is a major source of revenue for governments around the world. When the International VAT/GST Guidelines were first published in 2016, around 165 countries operated a VAT regime, more than twice as many as 25 years before. While each country has its own agreed rate, Hungary poses the highest VAT rate at 27 per cent standard followed by a 5 and 18 per cent reduced rate for certain items. Croatia, Sweden, Denmark and Norway follow next with a standard VAT rate of 25 per cent, followed by Finland, Greece and Iceland at 24 per cent. As VAT continued to spread across the world, GCC states have also introduced a region-wide VAT from the start of 2018. The UAE and Saudi Arabia have been the first countries to roll out VAT in the GCC from early 2018 while other Gulf countries have time till the end of next year to implement the new tax system. The rate for VAT is set at 5 per cent and all business that exceeds the minimum annual aggregate turnover threshold of Dh375,000 as confirmed by their financial records are required for compulsory registration with the VAT system. At just 5 per cent, UAE’s tax system is among the lowest in the world. The success of the UAE tax system is, therefore, a shared responsibility and requires strategic cooperation based on three pillars, the government, the business sector and the community. Additionally, studies indicate that the government will be pumping back tax funds into the development projects which, in turn, will boost a number of industries in the country including investments in artificial intelligence, ICT and other traditional investment sectors. That’s not all; the government has no plans to raise the rate of VAT for the next five years. As the tax rates are ultimately passed to the consumer, businesses in the UAE have not been affected much. Post VAT implementation results have been positive as the economy has not only witnessed a new direction to move forward, but also been able to boost its reputation. A study by the Alliance Business Centers Network (ABCN) indicates that among Arab countries, Tunisia imposes the highest VAT at 18 per cent while Algeria imposes a rate of 17 per cent and Egypt 14 per cent. Just like very giant leap that leaves behind an impression, the consequences of VAT in the UAE have marked the same, but for a positive beginning! 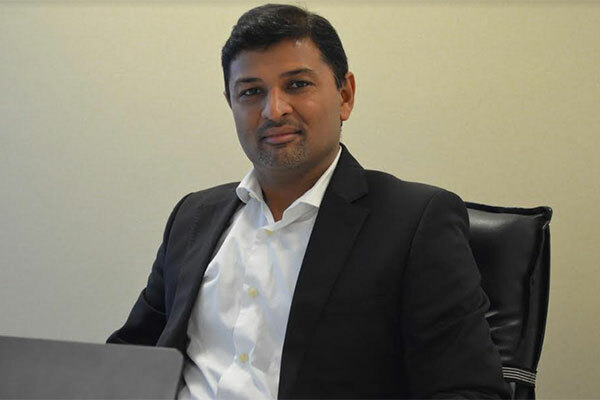 Vikas Panchal is business head at Tally Solutions in the Middle East, a leading international accounting and compliance software provider which has introduced Tally.ERP 9 Release 6, a Value Added Tax (VAT) software beginning of 2018.